This book provides an overview of network security in general, and explains how cybercriminals can use hidden or currently undetectable methods to penetrate protected network systems. Advanced evasion techniques (AETs) bypass current common network security solutions. They can transport any attack or exploit through network security devices and firewalls, next generation firewalls, intrusion detection and prevention systems, and even routers doing deep packet inspection. In this book you’ll find out all about AETs, and get useful pointers and advice to help you secure your organization. 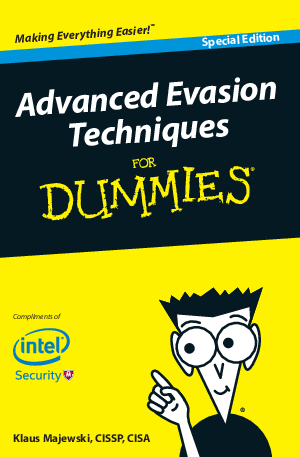 If you’re working in government, the military, banking, industry, e-commerce or with other critical infrastructures, read this book to find out what you’re up against and how to better protect against advanced evasions.